Have you ever wandered into someone’s home for the first time and fallen in love with their kitchen? 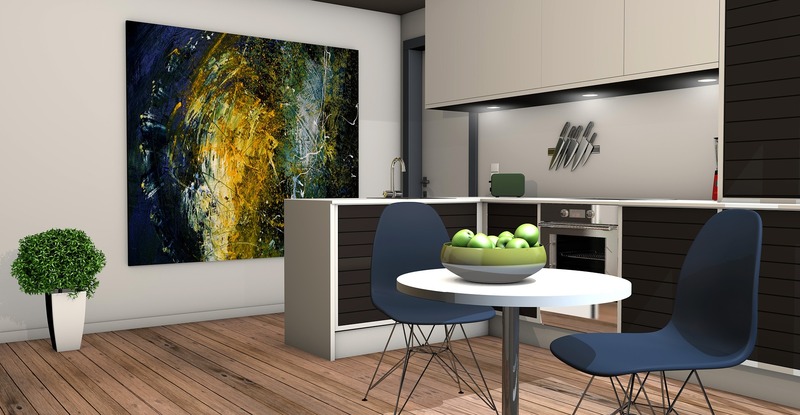 When it comes to bespoke kitchens Leicester residents who take pride in their homes really do know how to make their mark with regard to kitchen design. So, when a particular kitchen makes you sit up and take notice, would it be because it is fitted out with all the latest appliances, provides a wonderfully welcoming environment, or offers the kind of space where attention had been paid to every last detail to make it somewhere special? Therein lies the secret to creating your own perfect kitchen for your home. Because, when it’s time to find a new kitchen, or you’re in the midst of refurbishing your home entirely, getting the kitchen completely right is one of the best moves you can make. And we’re not just talking about enhanced saleability here. At Dewhirst Kitchens, we believe very much that a kitchen should come with the kind of bespoke design that makes it all about your personality and the needs of the people who’ll be using it. There’s a reason why they say the kitchen is the heart of the home and that’s because, these days, it’s the place where many people like to spend their time. Whether it’s cooking dinner while chatting to friends, entertaining, enjoying a cup of coffee, or trying out some Great British Bake Off inspired delights, people seem to gravitate towards this room even more than ever. And with the more open plan style of living growing so popular, it’s easy to see why. Are you planning to have a theme which runs throughout your home, or should it just be practical and functional to fit in with your busy lifestyle? Even if you don’t have a particular style that you love the most, then chances are you’ll know what you need your kitchen for and once you have that in mind, then the whole design process can begin. When you come to our Leicester based showroom, there’s not only the chance to take a look around some of the beautiful designs that we have on display. You can benefit from expert advice and in-depth discussion totally centred around you achieving exactly what you’re looking for. Our designers can then get to work in creating the kitchen that is exactly what you’ve been dreaming of, even down to the very last detail. From stunning worktops to a look and feel that suits you down to the ground, or appliances that make life that bit easier, every aspect should always be considered when choosing your bespoke Leicester kitchen. If you would like to come in for a chat about your new bespoke kitchen with one of our highly experienced team, get in touch with us to book your appointment today.